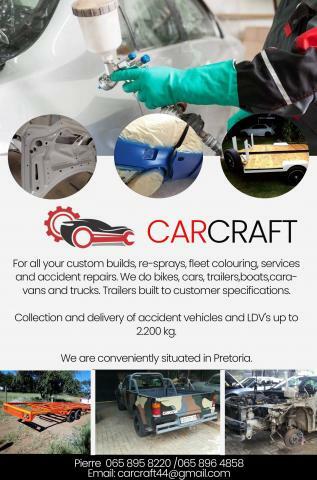 For all your custom builds, re-sprays, fleet colouring, services and accident repairs. We do bikes, cars, trailers,boats,caravans and trucks. Trailers built to customer specifications. Collection and delivery of accident vehicles and LDV's up to 2.200 kg. We are conveniently situated in Pretoria.